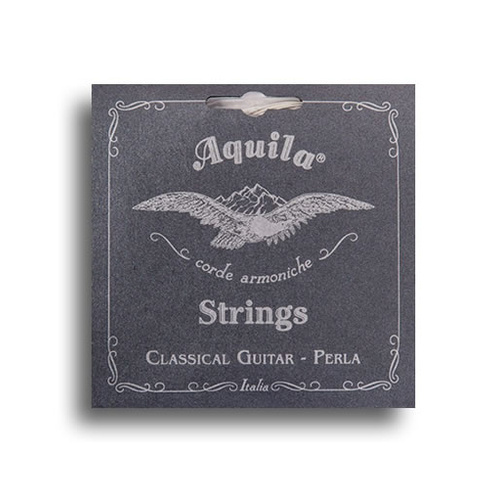 Aquila Perla Classical Strings produce a warm and mellow sound, round and rich tone, good expressiveness and sweetness of sound that make them an ideal choice to fill the concert hall. We are proud to introduce the Bionylon® the first eco-friendly synthetic string in the world. 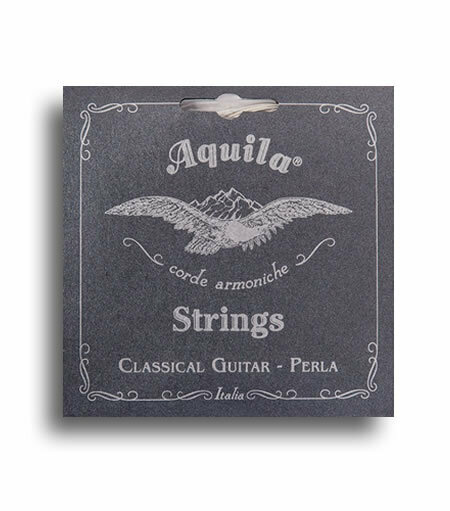 The first three strings are made of round, smooth Bionylon® monofilament, a new material discovered by us that also boasts excellent acoustic and mechanical properties. It produce a warm, mellow sound. Bionylon® is 63%, a plant’s derivate, this allows a reduction of more of 30% of carbon dioxide emissions in the atmosphere during the polymer- synthesis than the other common Nylons employed for musical strings. 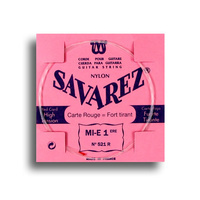 The bass strings, wound with high quality silver-plated copper, consist of a Nylgut® multifilament core that ensures not only a high resistance to tensile stress but also a moisture low absorption. 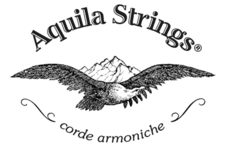 This allows a rapid and stable intonation under moisture changes.